The US Fish and Wildlife Service was expected to delist that population of bears around the end of the year, but on Monday a federal judge in Missoula may have blown up that timeframe when he reversed the 2017 federal delisting of Yellowstone-area grizzlies. About 70 people turned out Wednesday evening in Missoula for an FWP meeting planned weeks ago on how the agency will manage grizzlies in the Northern Continental Divide Ecosystem, or NCDE. It’s the largest grizzly population in the lower 48. FWP Bear Biologist Cecily Costello explained the state plan, which it calls a rule. "What’s in the rule is basically three different sets of objectives-" she said. Those include maintaining at least roughly 800 to 1,000 grizzlies in the NCDE, which they consider a healthy population. It also sets mortality limits for female and male bears, and says they’ll gather more information on connections they hope to occur between grizzlies in the NCDE and other populations of bears. I asked U.S. Fish and Wildlife Service Grizzly Bear Recovery Coordinator Hilary Cooley how Monday’s court ruling returning Yellowstone area grizzlies to the endangered species list is impacting plans for the future of the NCDE bears. "We received the opinions and of course we’re looking at it," Cooley said. "It’s 48 pages and it has a lot in there. So there’s discussions ongoing at all levels. With the Department of Justice, with the Fish and Wildlife Service, with the Department of Interior. It’s gonna take us a little while to digest that and figure out what it means for the NCDE. So I really don’t have a better answer for you other than that. You’ll hear sometime in the near future I’m sure what our plans are, but I don’t know what they are right now." At Wednesday’s meeting, opponents of delisting grizzlies cheered Monday’s ruling on Yellowstone area bears, which said the federal government can’t delist a single population without taking proper considerations to ensure the well-being of the rest of the species. "I have read the 48-page opinion of a good man, Dana Christensen, I've read it three times today," said Jimmy St. Goodard, a spiritual leader of the Blackfeet Confederacy. Goodard came wielding a paper copy of Judge Christensen’s decision, and he chastised Interior Secretary Ryan Zinke specifically for approving Yellowstone grizzly de-listing. 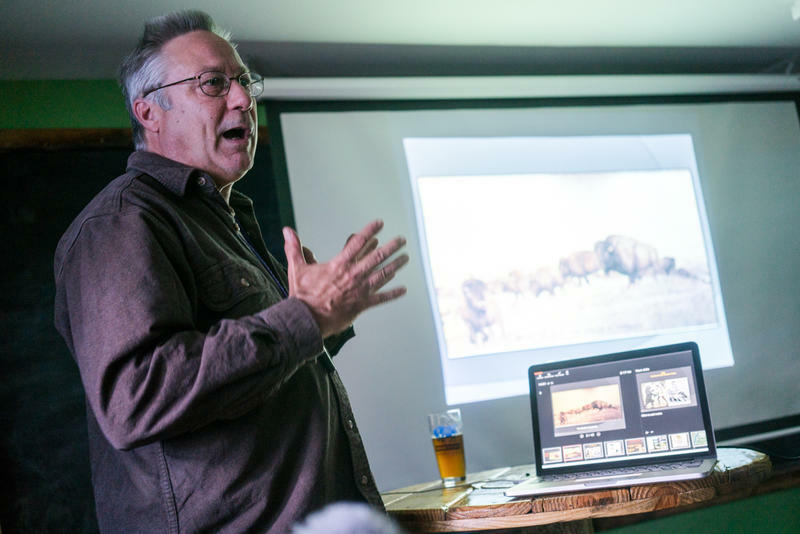 St. Goodard said Zinke ignored indigenous perspectives on grizzlies as sacred animals. "The Indian Freedom of Religious Act. He’s not providing that," Goodard said during a public comment period at Wednesday's meeting. "Why?! That’s rancher’s money, millions and millions of dollars to kill my grizzly, is that what he’s for? This is America, this is turtle island, and I’m upset!" Judge Christensen’s decision was specific to lawsuits challenging delisting Yellowstone area grizzlies, but in it he addressed delisting NCDE bears, too. Bethany Cotton of WildEarth Guardians quoted this passage in her comment. "The opinion on page 14 states, 'The Service's approach - evidenced first by this delisting and by its proposal to delist the other significant population, the Northern Continental Divide population - does not square with the ESA as a matter of statutory interpretation or policy,'" Cotton said. The U.S. Fish and Wildlife Service has not formally proposed removing federal protections for NCDE grizzlies, but prior to Christensen’s rule on Yellowstone bears they’d said they’ll decide whether to do so by later this year. Cotton and others at Wednesday’s meeting also said the public should be allowed to comment on more than just one chapter of the six in the newest draft of the NCDE’s conservation strategy. Some said the state should consider the broader grizzly population in the lower 48, ensure the bear has enough habitat, and focus in on helping the bears connect to other populations like those in and around Yellowstone. Emotions ran high throughout the event. 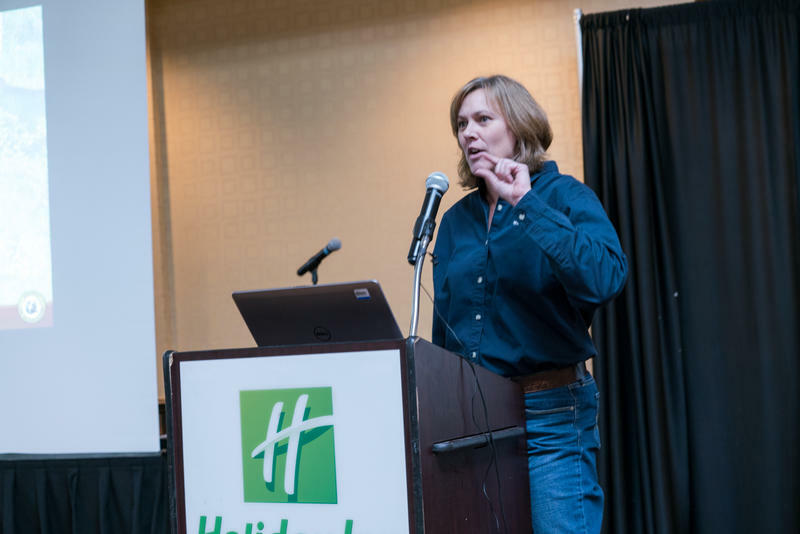 When federal and state officials fielded questions from the audience, Montana FWP bear biologist Cecily Costello defended the state’s rule. "When you constantly focus on. 'there’s not enough bears, there’s not enough bears,' and some people are dealing with a whole lot of bears, it reduces their likelihood of allowing those bears to persist," Costellos said. "We need to have tolerance. And tolerance is hard to buy when everyone’s fighting about how many bears there are." The U.S. Fish and WIldlife Service must return grizzly bears in and around Yellowstone National Park to the Endangered Species List, a federal judge in Missoula ordered today. The Yellowstone-area grizzly was removed from federal protections under the Endangered Species Act last year. 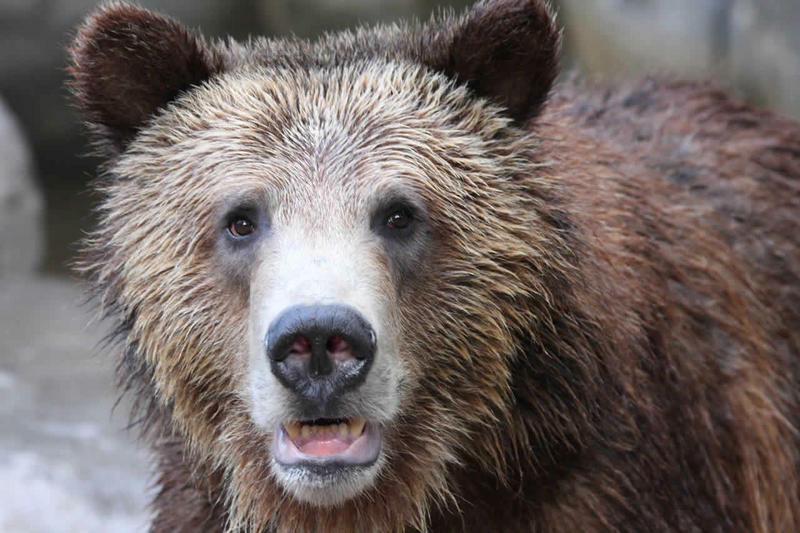 Grizzlies in the lower 48 have been listed as “threatened” since 1975.